Location: At the confluence of the Dirty Devil and Colorado Rivers. This is where Lake Powell begins. Cost: $15 Entrance fee is good for 7 days. There is a $16 fee for boating, and a $6 fee for camping. If you are like me, and just want to check it out, then you can view the area from the highway overlook for no charge. Operating Seasons and Hours: Open 24 hours a day all year long. You can launch a boat at anytime when lake levels are high enough. 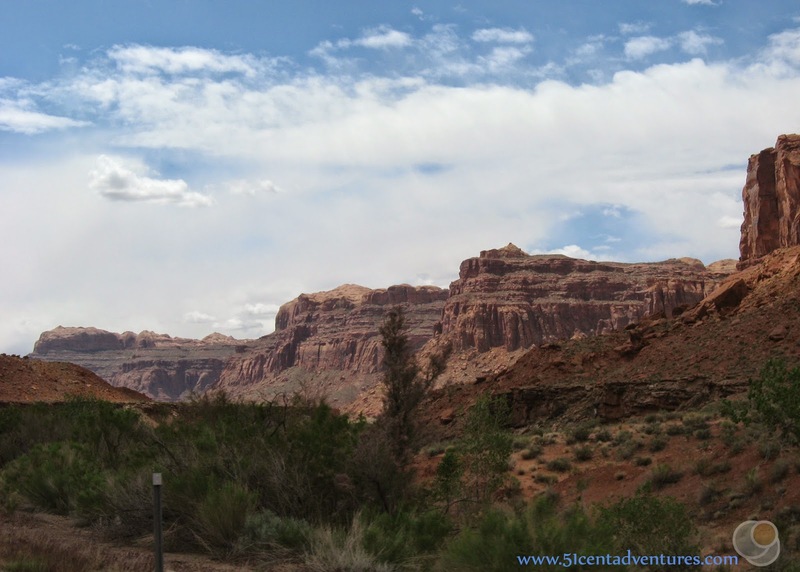 This was the first stop of the fifth day of the road trip that my husband and I took around Southern Utah in May of 2010. 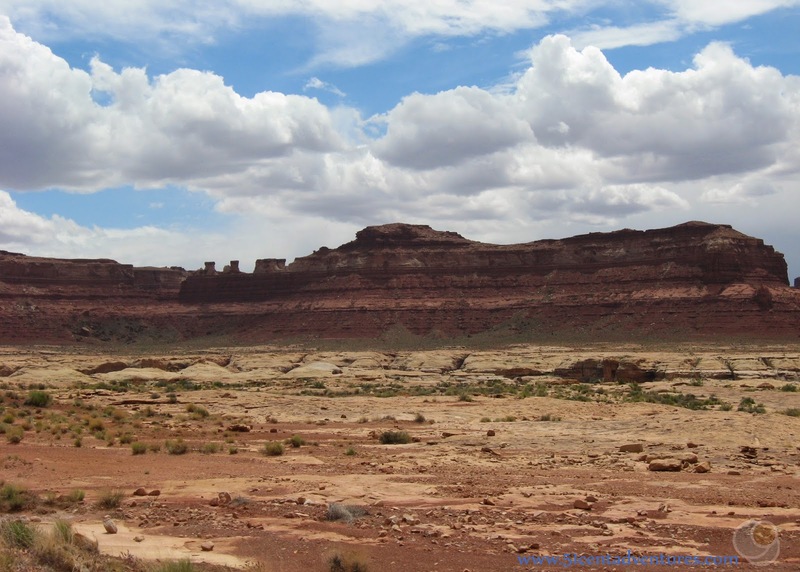 We left Goblin Valley and drove south along Highway 24 to Hanksville. 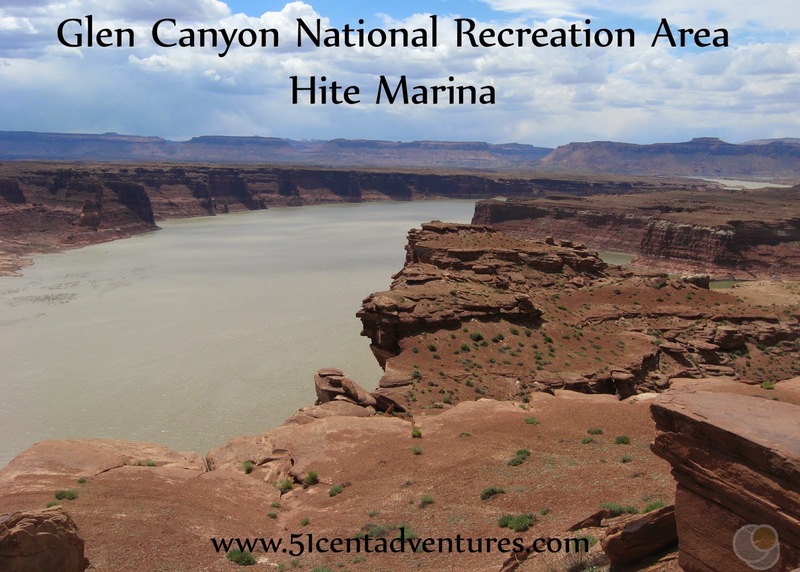 Then we drove south along Highway 95 to the Hite Marina area of Lake Powell/Glen Canyon. 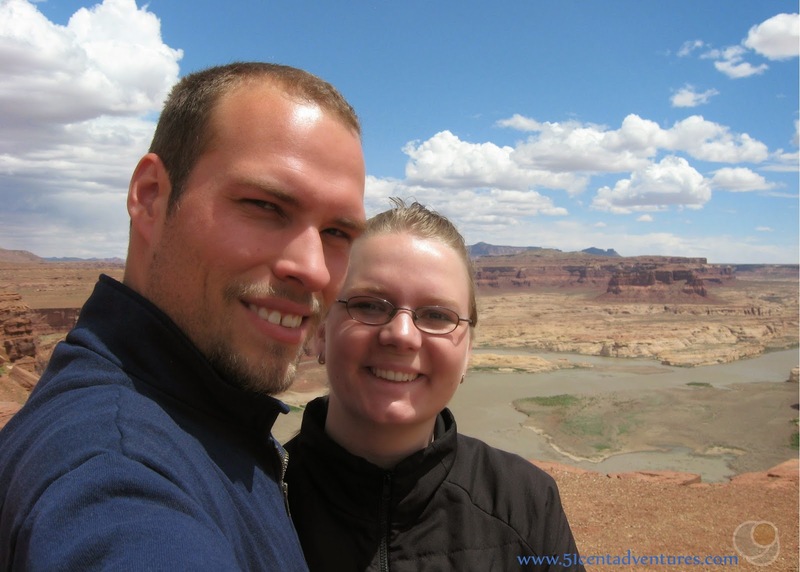 Our goal for the day was to make it to Moab, Utah. 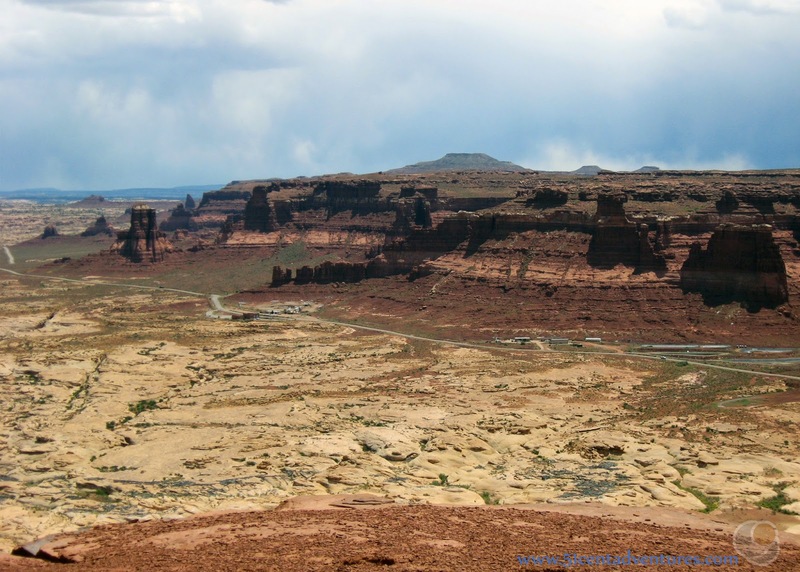 The quickest way to get to Moab from Goblin Valley was to travel north for 36 miles on Highway 24 to I-70. Then travel east for 32 miles on I-70. 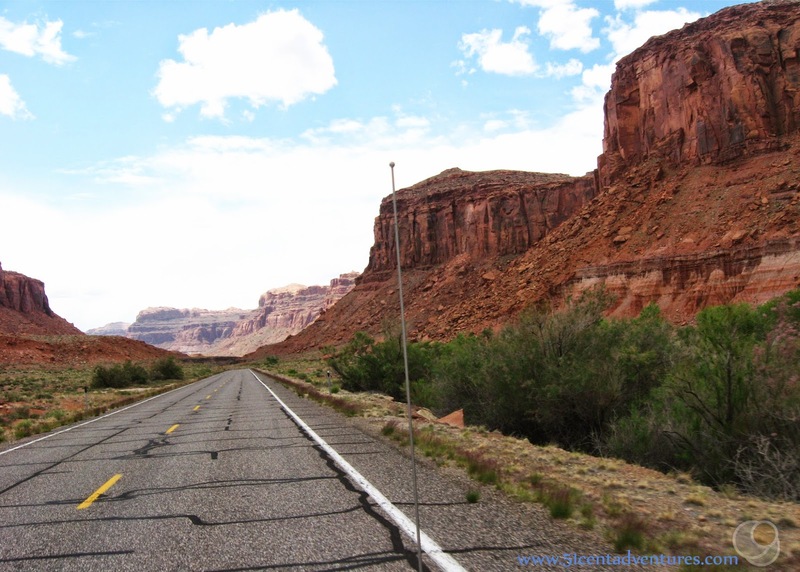 Then travel south for 31 miles on US 191. The whole trip would take less than 2 hours. But this road trip wasn't about taking the quickest route. 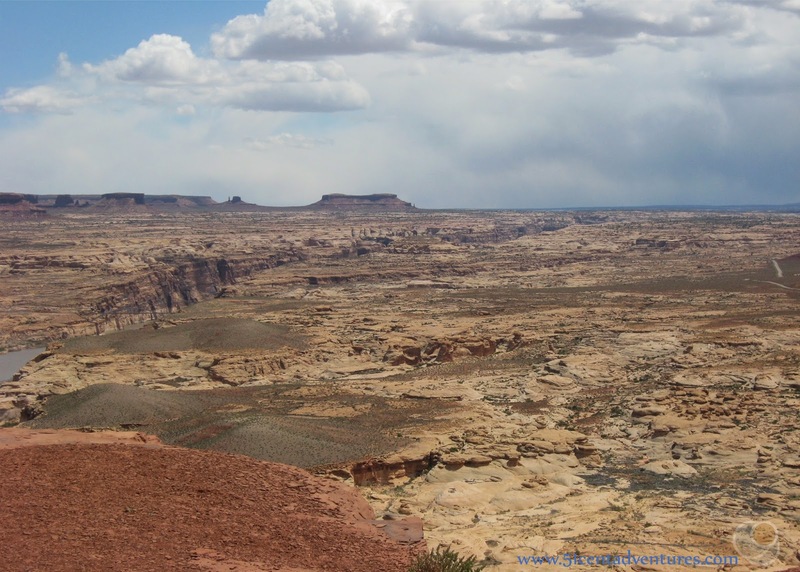 It was about seeing the most of Southern Utah. So instead of going north, we went south. We stopped to get gas in Hanksville, Utah. 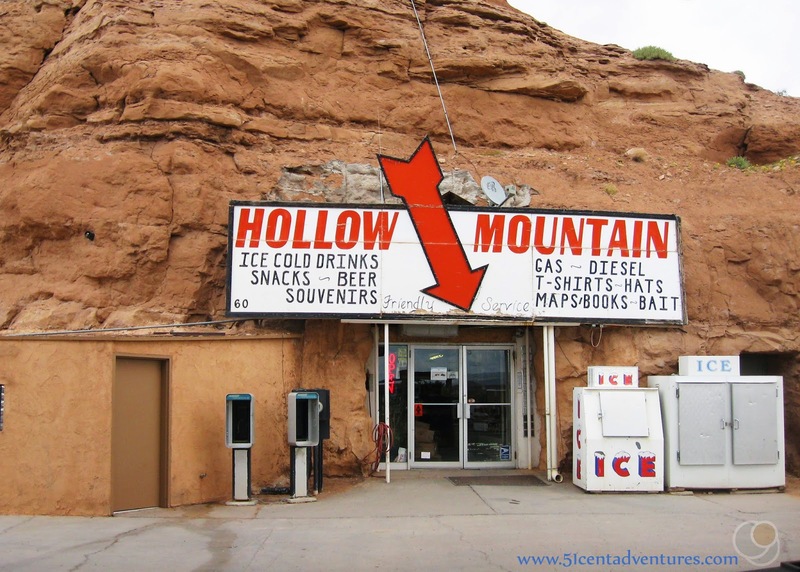 The gas station was built into a small sandstone hill. That was the only interesting thing we saw in Hanksville. After fueling up, we continued south along Highway 95. 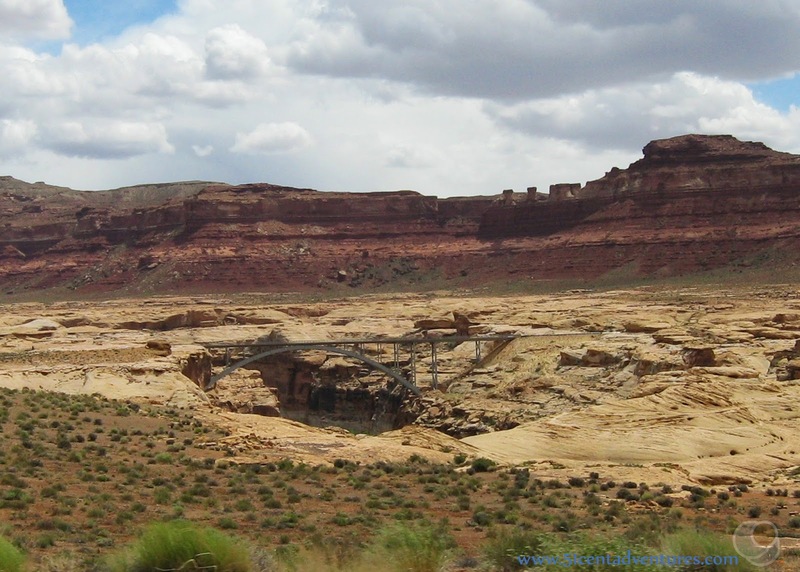 This was an area of Southern Utah that I'd never visited before. In fact, I'd never even seen pictures of this area. I was in for a treat. 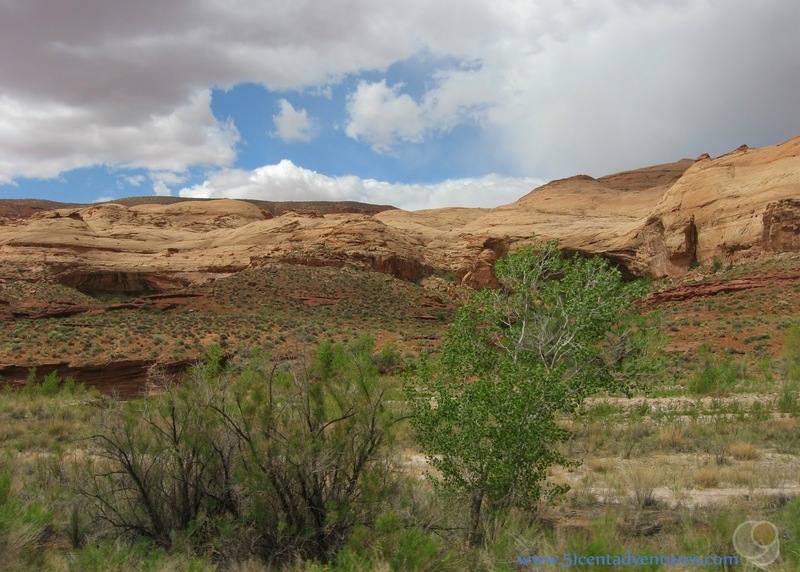 At first the landscape was full of tan sandstone. As we traveled farther south the sandstone became more red. The road naturally sloped downward through a wide canyon. Smaller canyons branched off on either side of the road. There were huge monoliths of stone towering over the road. The scenery was breath taking. This was on par with what we had seen in Zion National Park three days earlier. I'd love to come back here again and do some exploring. North Wash, the river the formed the canyon, began a steep decent to meet up with the Colorado River. The road stayed on higher elevation. Soon we came to an overlook where we could park the Jeep, and take a look around. There was a pretty steep dropoff down to the water below. We gazed a the scenery for a long time. The view from the overlook was spectacular. To the north we could see where the Colorado river cut through the rock. This was the very end of the famous Cateract Canyon section of the river. White water rafting down the Cateract Canyon to Hite is very popular with adventure lovers. 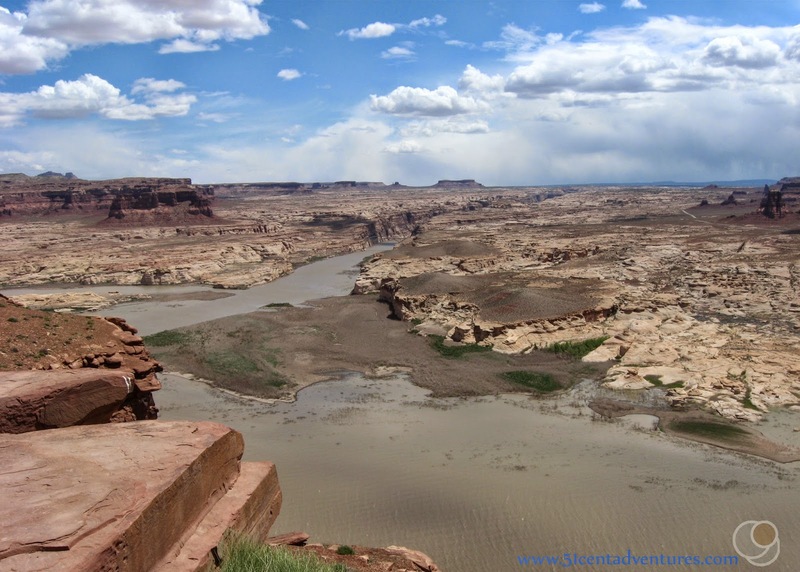 The Hite area is where the Dirty Devil River and the Colorado River come together. 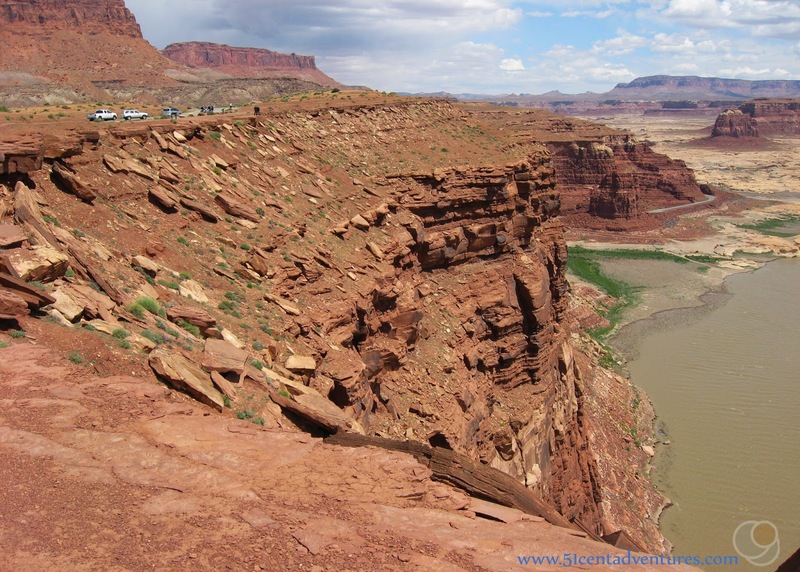 This is the beginning of Lake Powell in the Glen Canyon National Recreation Area. In this picture you can see the confluence of these two rivers. 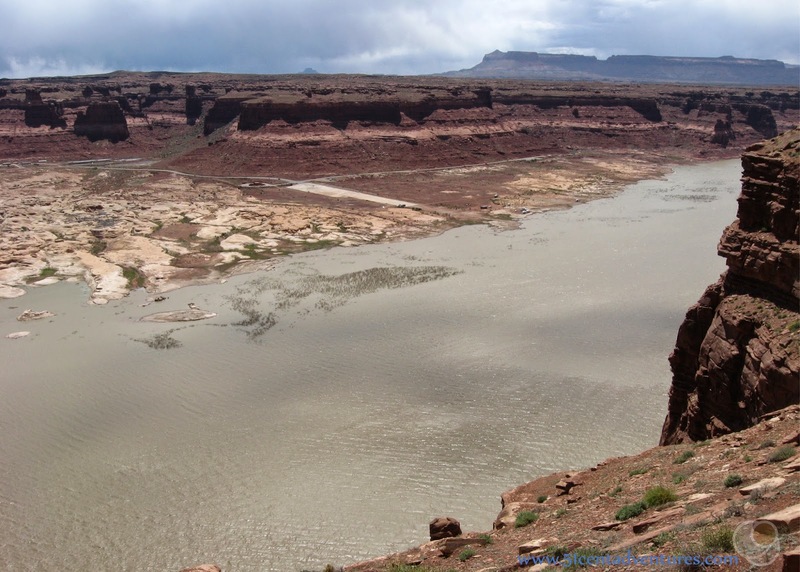 Due to drought conditions, water levels in Lake Powell have been low for years. When there is enough water there are marina services available. But they weren't there at the time of our visit. There are several boat launch ramps for launching your boat on your own, but these were also out of service due to low water levels. From what I understand the water levels are currently still too low to operate the marina. The boat launch ramps are available, but 4 wheel drive vehicles are recommended. My husband and I aren't interested in boating so we weren't upset by the lack of marina. We were just interested in the view. I marveled that this spectacular view was available to anyone who made the drive. There was no need to pay a fee, or hike anywhere. We simply had to drive there, and then get out of our car. Highway 95 crosses over the Dirty Devil and Colorado Rivers. There is a bridge built across each river. If I remember right, this was the bridge over the Colorado River. We got back into the Jeep and drove down the steep road that took us closer to the level of the water. The scenery was just as beautiful down there as it was from the overlook. This feature reminded me of the Titanic. This is what one of the bridges looked like from the road. We made a brief stop at the Hite Ranger Station to use the bathroom. The place was deserted, but the bathrooms were open and well maintained. Then we were on our way. The drive down to the Hite Marina area was definitely worth our time. So far our decision to take a longer route to Moab was paying off. Recommendation: Hite Marina is off the beaten path, but I found it was worth the drive just to see the scenery. 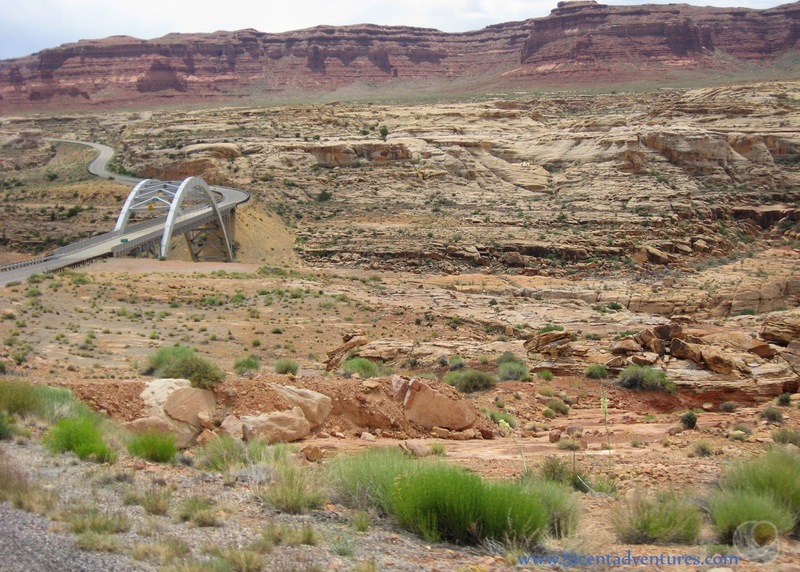 Directions: Hite is located along Utah Highway 95. Hanksville Utah is about 60 miles to the north. Blanding Utah is about 70 miles to the east. Places nearby: Hite Marina wasn't our only option for seeing Lake Powell on this trip. Instead of staying on Highway 95 we could have continued even further south via Highway 276. That would have taken us to Bullfrog Marina. 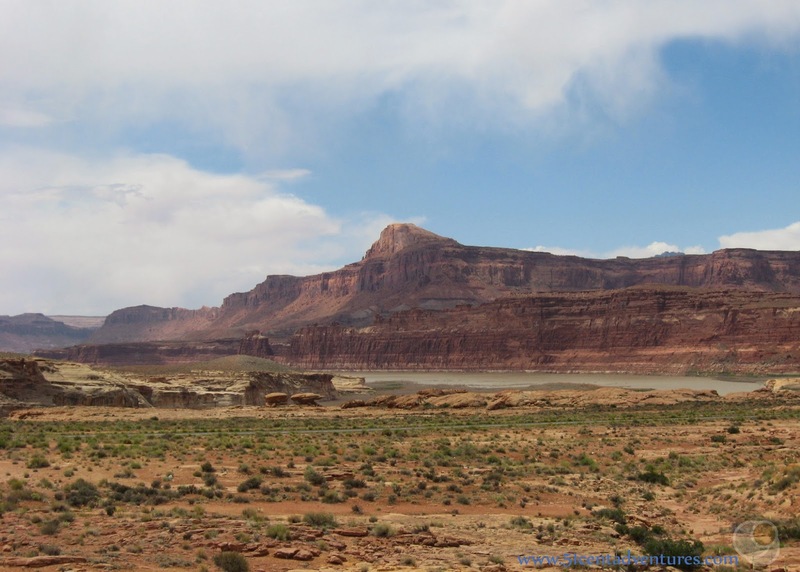 The only way across that area of Lake Powell was to take a ferry that was operated by the Utah Department of Transportation. While that sounded like fun, I balked at the price. Ferry rates depend on the size of your vehicle and start at $10 for pedestrians or bikers. I didn't know how much it would cost to take our Jeep across the ferry, but even $10 was too much for me. (This blog is called 51 cent adventures for a reason.) I was also concerned that we would waste time waiting for the ferry. As cool as it would have been to see that area of Utah, I decided to save it for another time.